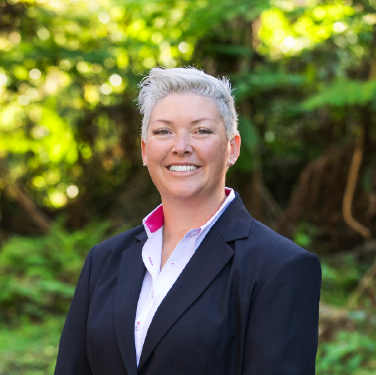 Why use Katrina Wright to manage your property? Looking after your property as if it’s our own. Katrina Wright has been one of the Sutherland Shire’s leading Real Estate Agents for many years, achieving top results for property owners and honing her experience as part of one of Australia’s leading Real Estate groups. In January 2018 she made the move to start her own agency, Katrina Wright – Property Excellence. At Katrina Wright, the members of our Property Management team have all at some point been landlords so we understand that effective Property Management is key to ensuring that you receive the maximum return possible. Our team is comprised of local residents who are mature, extensively trained and passionate about providing the highest level of Property Management Service in the Sutherland Shire. We want to build our business on raving fans so YOU, YOUR property and YOUR satisfaction are always our number 1 priority. When it comes time to advertise your property for lease, our goal is for your property to stand out with our bright and engaging marketing. We want to attract as many potential tenants as possible so we can match your property to a quality tenant at the maximum price possible. Your property will be advertised 24/7 online, have a signboard and be promoted through our social media and tenant databases. We will conduct your rental propertys’ open home just like we would for a property that is being sold. Katrina Wright – Property Excellence has a boutique approach to Property Management where each of our Property Managers have a small portfolio of properties under their care. This enables us to not only keep our landlord regularly updated on their property but also to be responsive to your tenants needs. Having happy and valued tenants reduces tenant turnover which in turn helps you minimise your costs. We believe that keeping your investment property in top condition helps you not only achieve the best price possible when renting it but also when it comes time to selling. We have access to the latest technology in tenant checking so we can carefully screen all prospective tenants and ensure your property is leased to quality tenants. We provide thorough incoming, outgoing and routine inspections so we can keep you informed of the condition of your property. This enables us to identify any potential issues and have our team of skilled and trusted tradespeople fix them before they arise. Did you know that a flamingos colour changes depending on its diet? The better the nutrients, the brighter the flamingo. Just like when renting your property, if you put in the right Property Manager, the right timing, the right marketing, the right rent and right tenant, the brighter it becomes and the better the return you are able to achieve. There is no career more perfect for someone with the drive of an international athlete than real estate! Eighteen years on the professional lawn bowls circuit prepared Katrina for the focus and hard work required to become not only a successful real estate agent, but the principal of her own agency. Having represented Australia as a professional athlete, Katrina won’t settle for plain old ordinary. She’s not looking for a quick sale, but to be able to say to you, without a doubt, that she’s found the very best buyer and secured the very best price for you. Whether you're selling, renting or buying a property, as a home or investment, contact me for professional help!